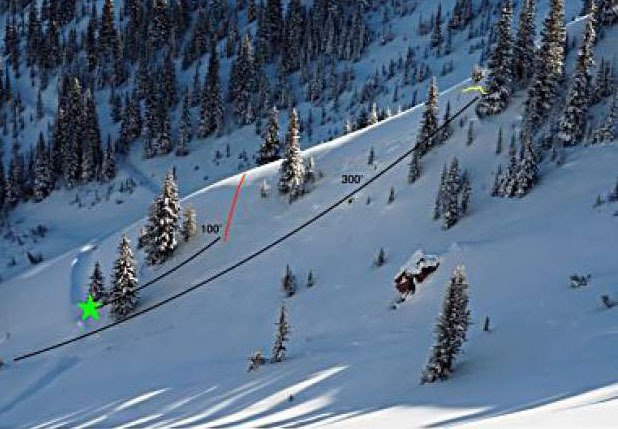 The red line in the center shows the skier’s path. The skier was caught in a slide and dug out at the location of the star. The longer line shows the path of the avalanche in the McFarlane’s area off Richmond Ridge.